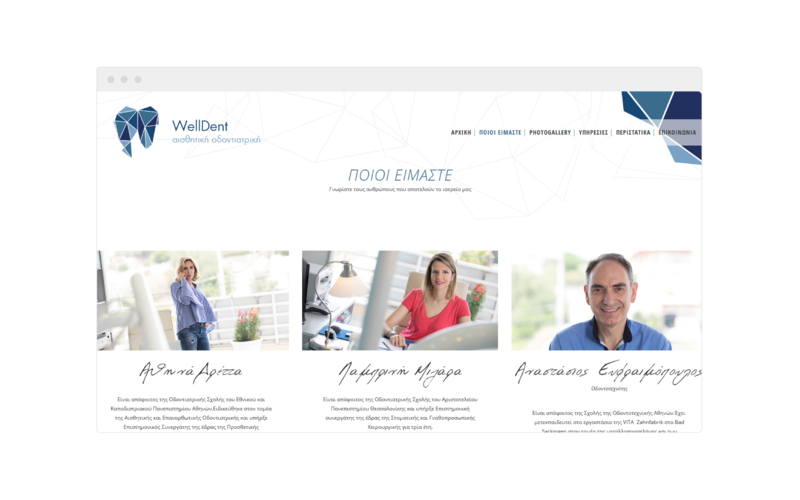 Dr. Athena Dretta and Dr. Lina Mizara are dentists specializing in Aesthetic Dentistry and have two surgeries in Athens and Porto Rafti. We were asked to design the logo and the corporate identity, as well as to build the website. 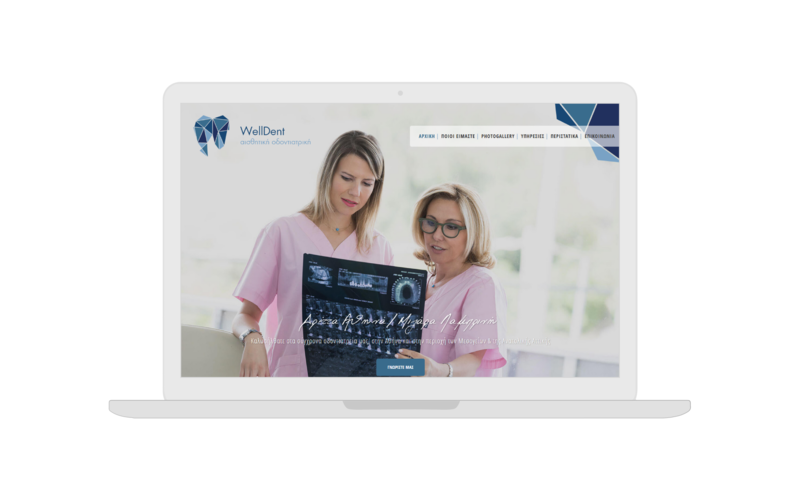 For the logo, we used geometric shapes in combination with various shades of blue to design a diamond that looks like a tooth, highlighting in this way the basic specialty of the two doctors. The entire corporate identity of the clinic was based on the design of the logo. 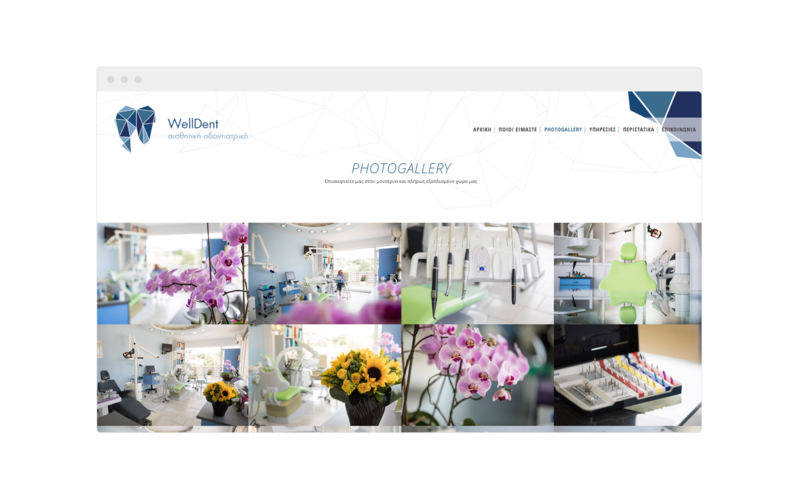 For the website, our partner Yiannis Mergetousakis took photos of the clinic and the doctors. 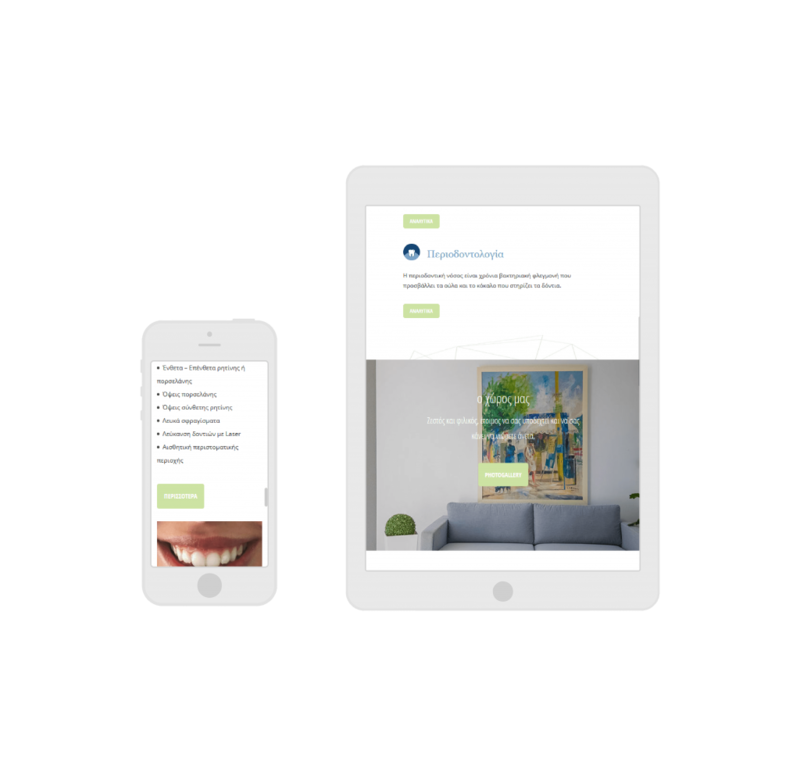 Our primary goal was to highlight through the site the modern area of the clinic and the two doctors who have years of experience in the field. We created a dynamic and easy to navigate site through which the user can find any information he wants for the services provided.